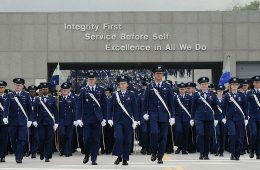 Should Young Men Enroll In The Air Force Academy? Luke Michael is busy doing cool stuff that he can't talk about or boring stuff he doesn't care to mention. He likes hitting the gym, the range, and working on self-improvement projects.